I have a habit. I have developed it in the past two years and I am not planning to break it in any foreseeable future. Once a week or so, I prepare my working space in the kitchen, sterilize my tools, warm up milk and start a new cheese-making adventure. There are variations on the routine depending on the recipe selected, but the handling first of milk, then of curds and whey, has become a familiar task. For most of my life, I took cheese for granted, accepting as a fact of life the availability of cheeses ranging from fresh mozzarella to aged parmigiano reggiano, from creamy robiola to pungent provolone. The details of how cheese was made were mostly a mystery -- replication in a home kitchen setting seemed impractical. Then one day, about two and a half years ago, I saw rennet tablets in the cheese case at the Arcata Co-op and, on impulse, I bought some. Armed with milk, cultured buttermilk and rennet, I followed an illustrated recipe found online. There was nothing exotic in mixing the milk and cultured buttermilk, making them reach a certain temperature and then adding rennet. As a result of this treatment, however, in due course the milk set into a firm gel, the curd. After the designated time, I verified that the curd had the right consistency, then cut it and ladled the resulting cubes into a cloth-lined colander set over a bowl (to catch the whey). I tied the cloth into a bundle, suspended it over the colander-plus-bowl in the fridge, and allowed overnight draining. At the end of the process, I unwrapped the bundle of cloth to reveal my first soft fresh cheese. Talking about cheese in general is not easy, as there are products ranging from fresh, soft cheeses, like cottage and cream cheese, to cheeses aged for weeks or months in a climate-controlled environment. Thinking about the latter may be daunting, so here I will focus on the former, since making them gives you relatively immediate satisfaction. 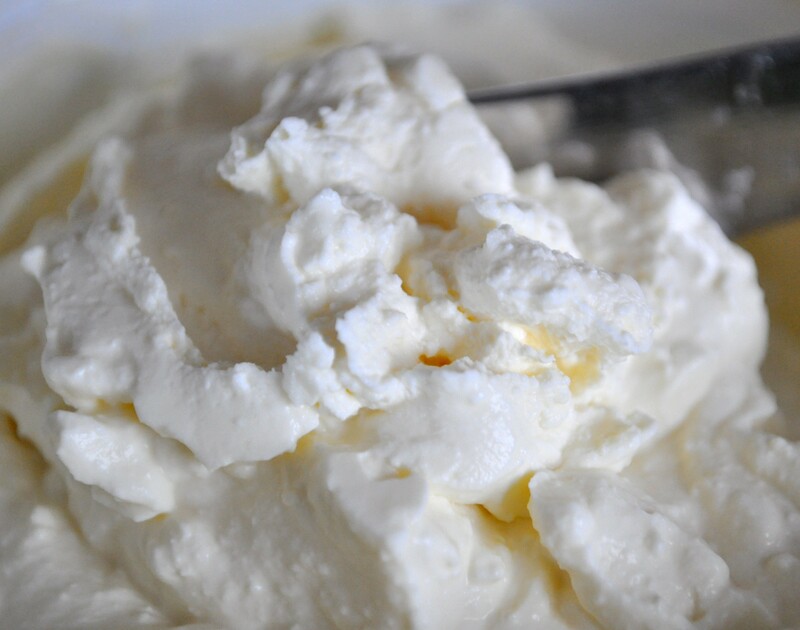 As an example, you can start making cream cheese or fromage blanc tonight and you will be able to serve it tomorrow for dinner. There are some essential concepts about making cheese at home presented in dedicated books, for example: 200 Easy Homemade Cheese Recipes: From Cheddar and Brie to Butter and Yogurt by Debra Amrein-Boyes and Home Cheese Making: Recipes for 75 Delicious Cheeses, by Ricki Carroll. There are many other volumes on the topic: I listed two I've been using to guide my explorations in the world of cheese making. Having homemade cheese available has been inspirational. For example, I used my fromage blanc instead of mayonnaise in a potato salad. An omelet with a few teaspoons of homemade cream cheese as filling delighted my breakfasting husband. And my tiramisù reached new heights once I started using my own mascarpone in it. Feeling hesitant because cheese making might require special ingredients? If so, here's my counterargument: An earlier Table Talk (See "DIY Cheese" July 31, 2008) described how to make paneer (also spelled "panir"), an Indian cheese. That recipe called for milk and fresh lemon juice, which makes panir a "no special ingredients required" cheese. Chenna is another Indian cheese, whose preparation follows that of panir, up to a point. Chenna is kneaded while still warm so that it acquires a velvety consistency. It is used as an ingredient in desserts, but it can also be seasoned with herbs and turned into savory patties (been there, done that, and liked it). Possible objection No. 2: That horizon looks a bit limited. Right, you don't want to make panir and chenna forever. However, with lemon juice you can also make lemon cheese and mascarpone. And with vinegar you can make Latin American queso blanco (a cheese I have not yet produced in my kitchen). Still, soon you may want to venture farther (for example, into cream cheese or fromage blanc land) and need ingredients like rennet and cheese cultures. The Co-op carries various cheese-making supplies, mostly, but not exclusively, in the cheese case (for example, freeze-dried cheese cultures need to be stored in the freezer). I suggest you ask for help in locating what you need. Citric acid is also available at Eureka Natural Foods. So, if you are looking for something to try in 2011, consider cheese making. Though new for you, it's been part of our heritage for millennia: The earliest good evidence of cheese making is a residue found in an Egyptian pot that dates from around 2300 BCE. Sterilize the implements that will come in contact with milk and cream by immersing them in boiling water for five minutes, then air dry. Measure cream and milk; pour in the inner pan of a double boiler. If you don't have a double boiler, a stainless steel bowl set over a pan with water works as well. Gently heat to 185 F, stirring every now and then. Add the tartaric acid or lemon juice and stir well. Maintain the temperature for five minutes, stirring occasionally (you will notice that the cream and milk blend thickens). Remove the pan from the heat and separate the inner vessel from the bottom pan. Let the coagulated cream and milk rest in the fridge for 12 hours, covered. Pour the coagulated cream and milk into a colander lined with the cotton cloth and set over a bowl to catch the whey. Let drain for 24 hours in the fridge, covered. Spoon mascarpone into a container and refrigerate until ready to use. Consume within a few days. Rinse cotton cloth in cold water, then wash it.